Those on both sides of the false left-right paradigm claim that Social Security benefits are an entitlement. Those on the left claim they are entitlements in order to resist any cuts and attempts to privatize Social Security. Those on the right claim they are to justify those cuts and privatization attempts. However, both sides are wrong, thanks to the 1960 5-4 split decision by the U.S. Supreme Court in Flemming v. Nestor. 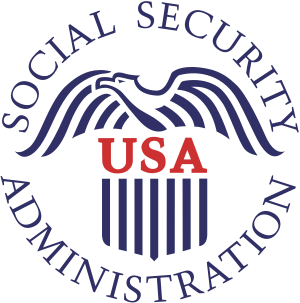 Notice the doublespeak by the SSA, as Merriam-Webster defines an entitlement as “a right to benefits specified especially by law or contract.” It’s admitted Social Security benefits are not a contractual right, and they also aren’t by law, therefore, they are not an entitlement. For more on Social Security, see my articles, John Stormer, author of None Dare Call it Treason, Admits to being dependent on Social Security, and U.S. Social Security deficit starting in 2010, Canada’s solvent until 2075. Considering there will be a lot of empty skyscrapers once the bank is shut down, we can let the elderly live luxuriously in them with extravagant views. You are entitled to spend whatever currency you have accrued. You are entitled to sell whatever financial instrument you have acquired. Dollars are a debt instrument. You can’t create more debt by transferring debt. SSI is just a bunch of worthless paper. Or how about we just reset the whole system and determine if people can take care of themselves and those who can’t we put on a social program? And publish the names of those we are taking care of.